Image via WikipediaA petition has been launched by the Passaic River Basin Flood Commission to request federal funding for the creation of levees to prevent flooding throughout the Passaic River Basin. 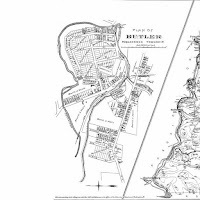 The commission, created by Governor Christie and headed by Assemblyman Scott Rumana, considered a number of plans including the region's oft-suggested "flood tunnel" before settling upon a system of levees as the best long term solution. Best in this case appears to mean a combination of ability to receive permits, likely to be effective at stopping floods, and likely to receive funding.